I am hoping to start a blog to review all of the carriers I have tried, and to share some geekery with like-minded mamas. 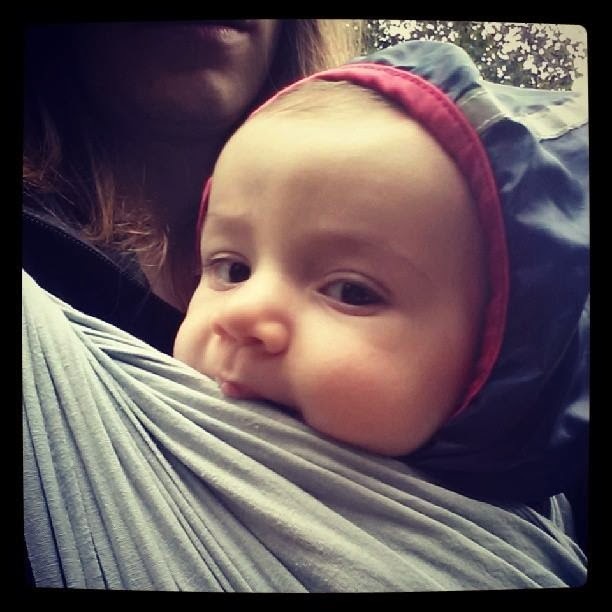 Below, please see a guest post I wrote for the Ottawa Babywearing Group, the lovely local group where I am privileged to be an admin. This post explains my journey down the rabbit hole to woven wraps. I hope to help people out with my honest reviews, and hope you enjoy reading them! 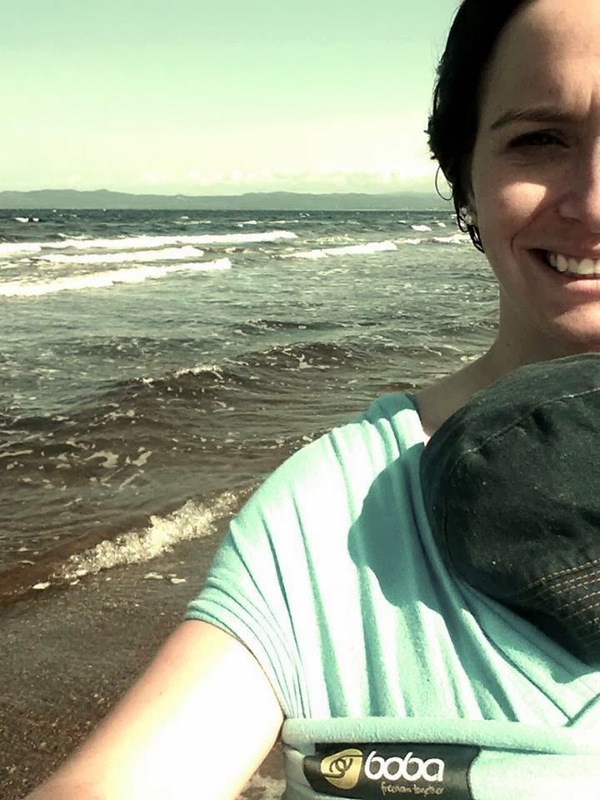 My babywearing journey (ok, obsession) began when I was pregnant with my oldest son, Walker, in 2011. A friend of mine passed along several carriers for me to try with my new baby, and I had no idea what they were or how to use them. 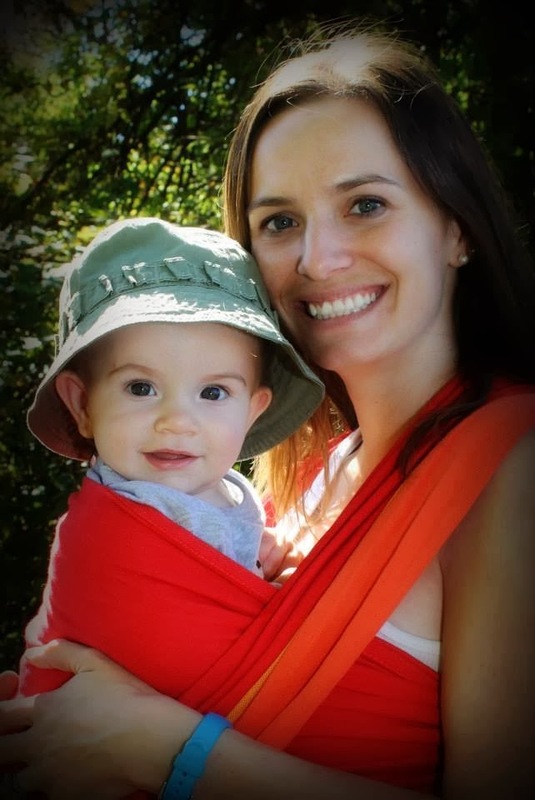 These first three carriers were a Maman Kangarou stretchy wrap, a flower patterned pouch carrier, and a very old Snugli. Luckily, the Bringing Home Baby class that my husband and I attended included a babywearing demonstration by one of the lovely women from Milkface, who was so tactful when explaining to me why that old Snugli was not her carrier of preference. I cringe now and wonder what she was actually thinking when she saw it. Trying all of those carriers with the life-like baby dolls in the classroom made me so excited to have a baby of my own to carry. Her demonstration also convinced me to order my first new carrier - an olive green Maya ring sling. The old Snugli survived half a trip to the hardware store before it was donated, and the ill-fitting pouch carrier didn't last much longer. The Maman Kangarou wrap was worn around the house until we outgrew it, and the ringsling went everywhere else with us those first few months. I loved holding my little guy snuggled with me in the tummy-to-tummy position. A long hike with my sister-in-law where she comfortably carried my niece in an Ergo while my son and I were sweating in the ringsling made me decide to also purchase a Galaxy Grey Ergo. I have no action shots of my firstborn in that carrier, though we used it nearly every day for over a year! The Ergo, and the Boba Air that we later bought as a car carrier, allowed us to bring our little man to graduation ceremonies, forests, farms, and markets where our stroller never would have allowed us to explore. When we discovered I was pregnant with our second son, I treated myself to a light blue Boba Wrap from Chiquita Baby. 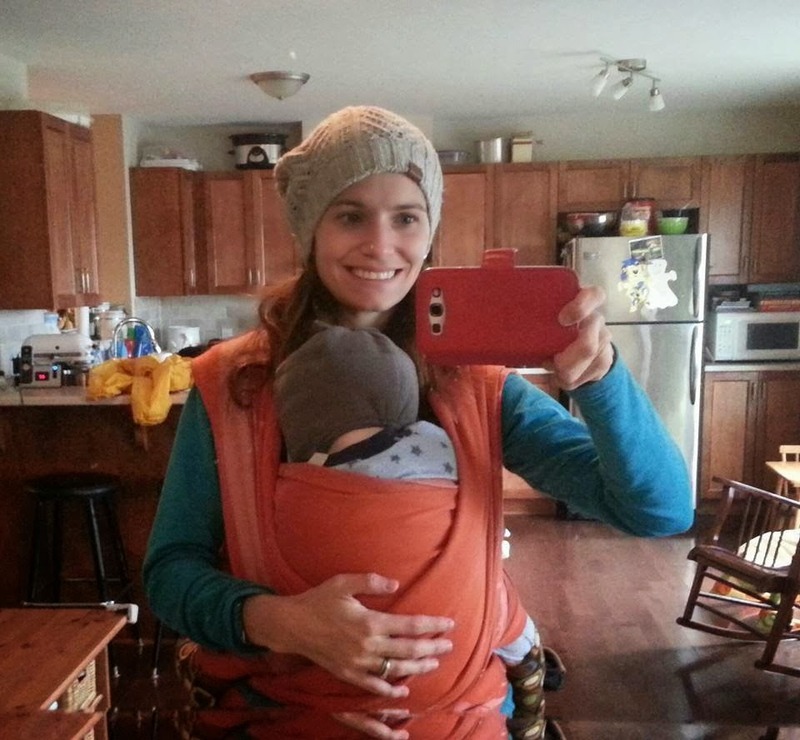 This wrap was a lifesaver as I learned to parent two children. 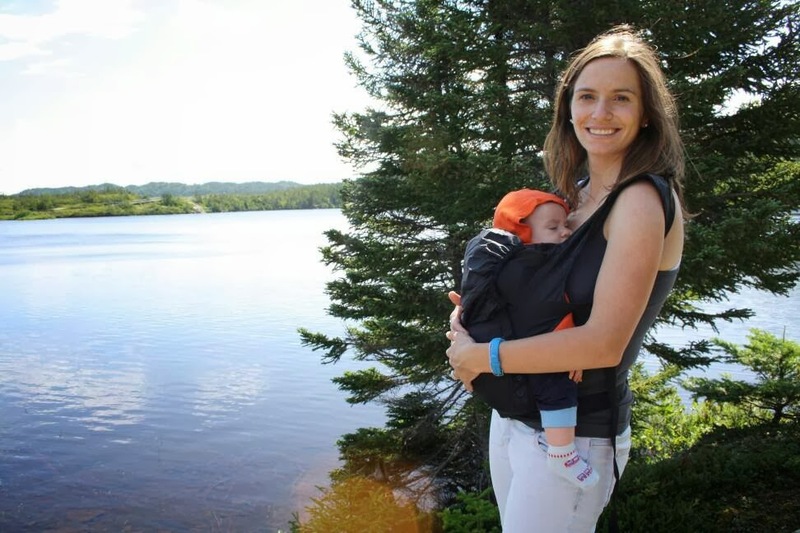 All through our first summer as a family of four, little Freddie slept happily in the Boba on our daily adventures to the park and on our trip to Newfoundland for a family reunion. The combination of that carrier and the waves crashing on the shore lulled him to sleep several days in a row on that vacation. The heat of the summer convinced me to try my first 'real' wrap, and I purchased a Calin Bleu gauze wrap from Belly Laughs. This little blue wrap made me fall head-over-heels down the rabbit hole into the land of wrapping, though it has now gone to be used by a new family. The only carry I mastered for the longest time was the FWCC, but that didn't stop me from adding several new wraps to our collection - Kokadi Blue Birds (5), Natibaby Colorado (6), and Natibaby Nature of America (5). 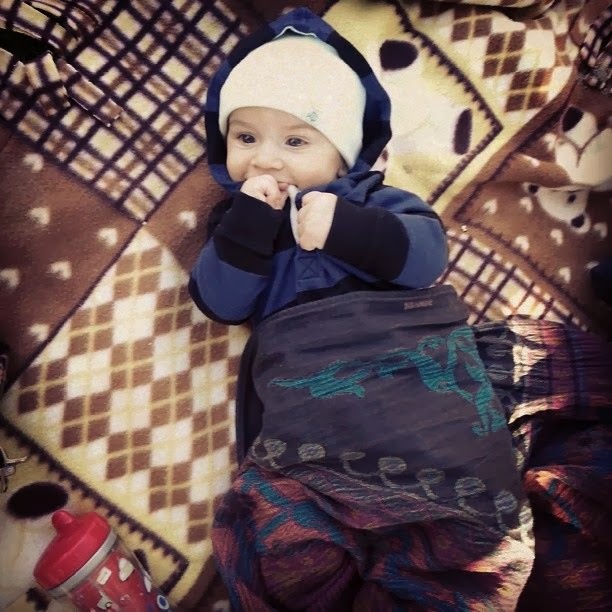 I rotated through these wraps on our daily outings with the boys, where they were also used as blankets when needed. 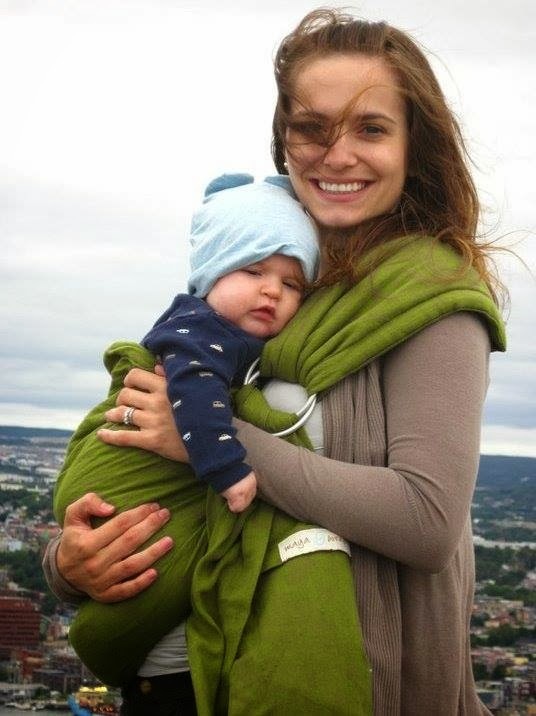 When my husband asked me what I would like for our anniversary, a Didymos Orient (6) was also added to our collection. The Nature of America turned out to be too beastly for me to tame and went to live with another family. Around this time, I found the OBG page on Facebook, after hearing about it from a friend. I attended a meet up and enjoyed chatting with the women and seeing other mothers who also carried their babies. This led me to begin hosting an informal OBG meet-up in Barrhaven, which was held outdoors in the Summer, and has since moved to my basement in the colder months. I have thoroughly enjoyed meeting the women in this group, and love that our shared passion for mothering and holding our babies close has allowed us to become friends. A Carry of the Week post on the OBG Facebook page led me to try my first mei tai from the Canadian Swap. I enjoyed it and I felt more comfortable using a MT for back carries rather than my wraps at the time. That first MT led me to add a Silver Waves Didytai and a semi-custom Topatop WCMT to the stash. Since then, I have also added three more wraps - a Heartiness Ethno (7), wool-blend Natibaby Sweetplace (6), and Oscha Sea Breeze (3) in 100% linen. After my first foray into linen, I swore I wouldn't go back, but the bounce and smoosh of this Oscha makes me glad I returned! I finally have mastered a ruck and a passable BWCC, though I still prefer the WCMTs or our Tula for longer back carries. I have been very excited to be working with a lovely weaver, Alison Addicks of Weave and Lace, to design and create my first handwoven wrap. It should be arriving this Spring, and I cannot wait to try it. 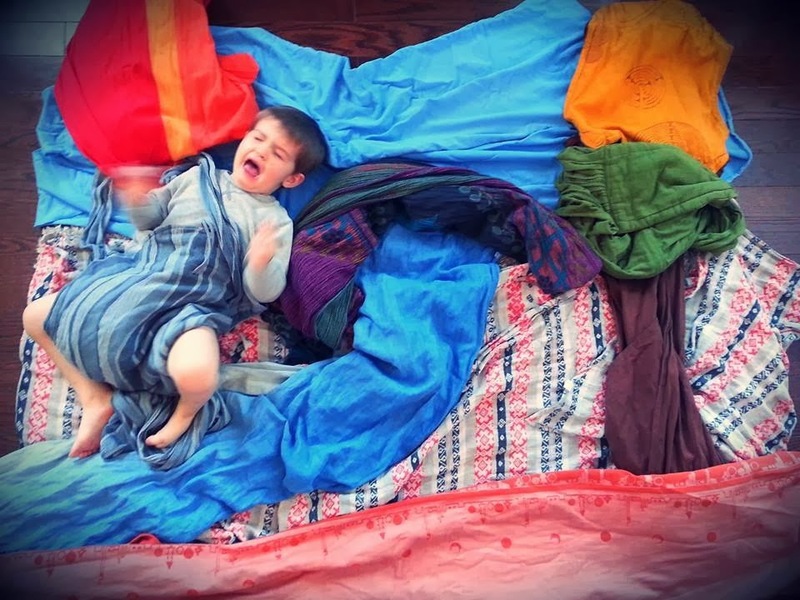 I truly do not know how I would parent my two boys (and stay sane!) 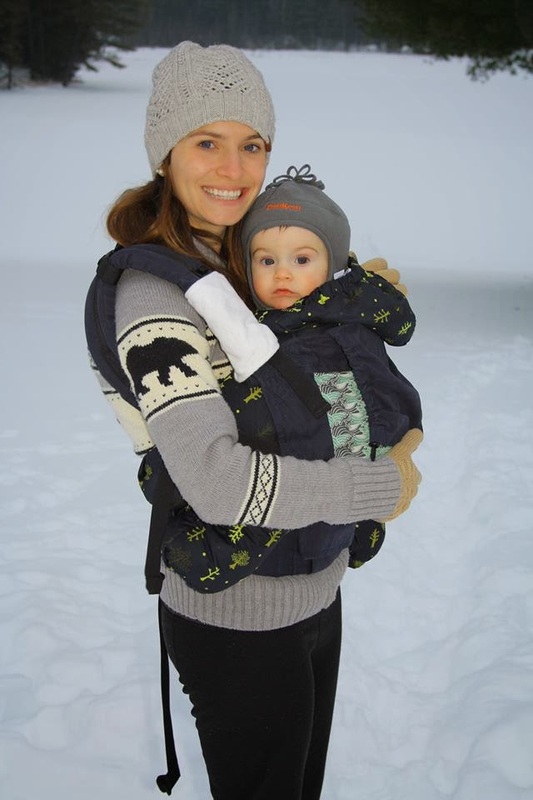 without babywearing as a tool, and am thankful I have had the opportunity to try so many beautiful carriers along the way.